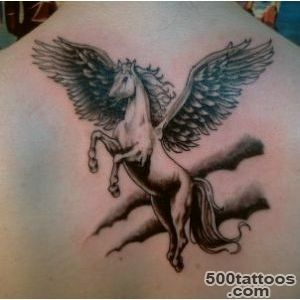 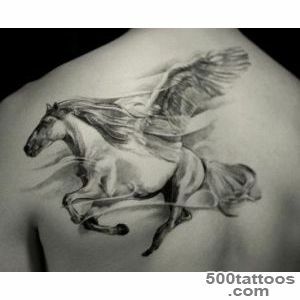 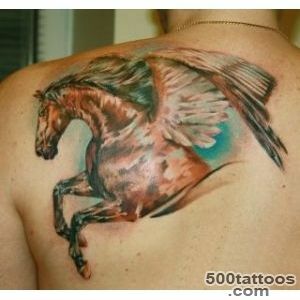 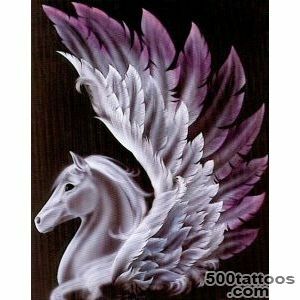 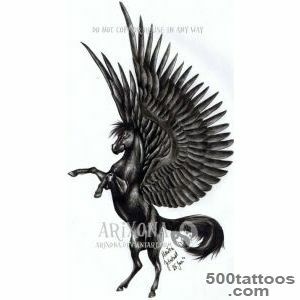 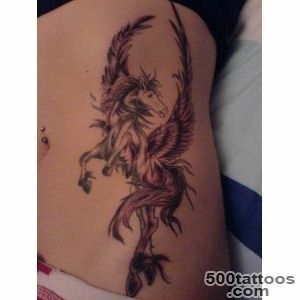 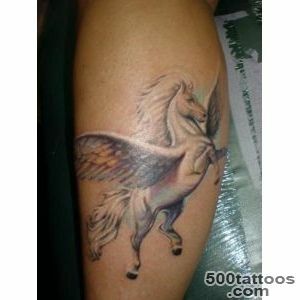 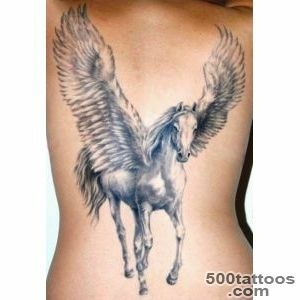 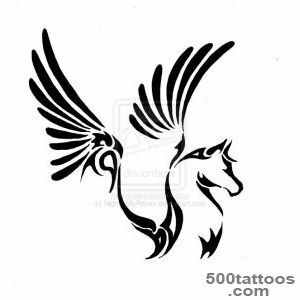 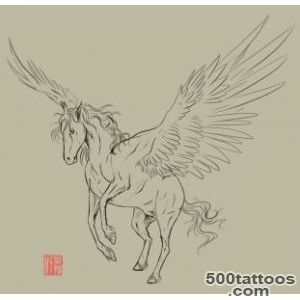 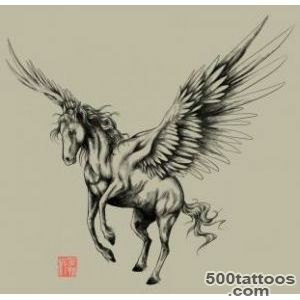 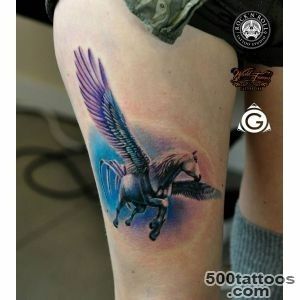 Tattoo Pegasus - always symbolized the image creation, a flight of fancy and poetry. 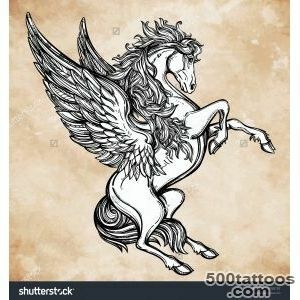 In the Middle Ages this wonderful horse liked to add to their coats of arms, scientists and poets. 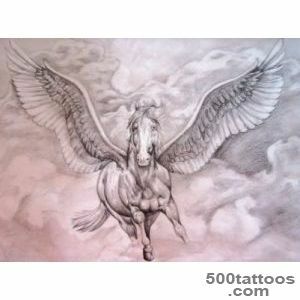 It was believed that he brings to the wings inspiration, new thoughts and rhymes. 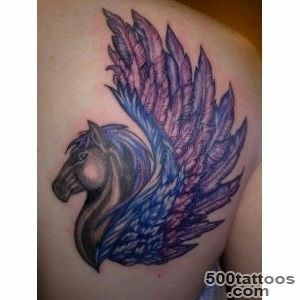 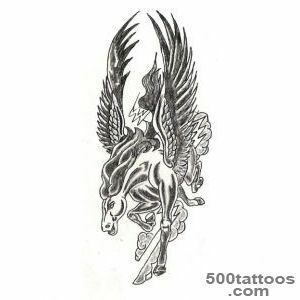 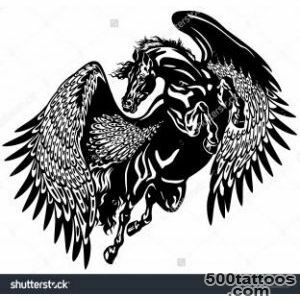 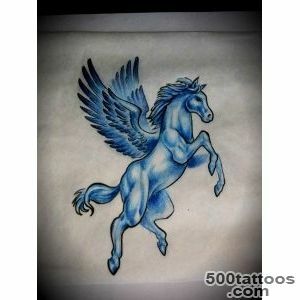 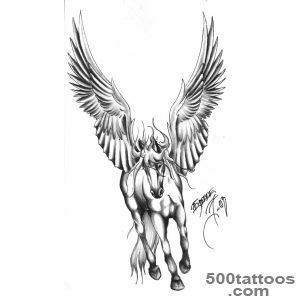 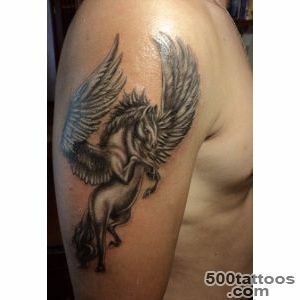 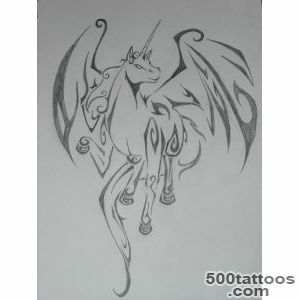 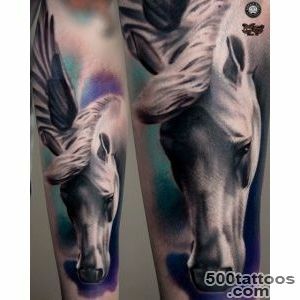 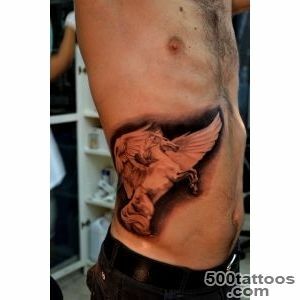 Pegasus Sketch of tattoo looks good in color is applied to the image on the hand,leg, back or chest. 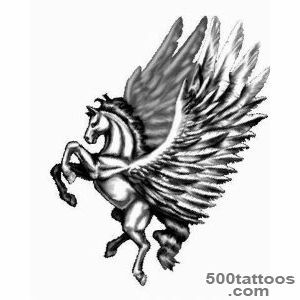 During the Second World War, his image has become popular due to the military air forces of Great Britain, which elected its symbol is Pegasus. 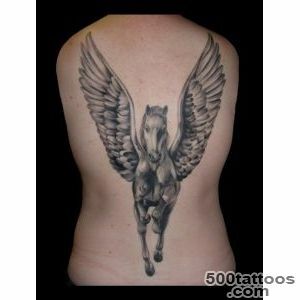 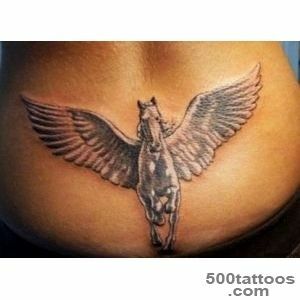 Since Pegasus tattoo means magical power, endurance and speed.The most common meaning of the tattoo - inspired! 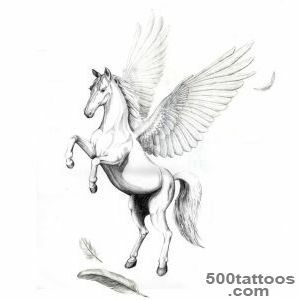 So first of all it is suitable artistic nature : poets, painters and musicians. 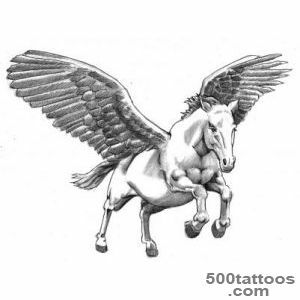 They believe that the Pegasus is able to give their talent, inspiration and return waft new artistic images. 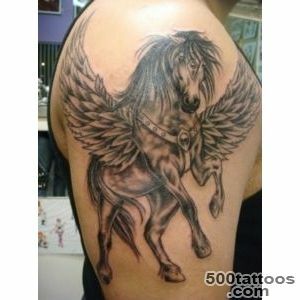 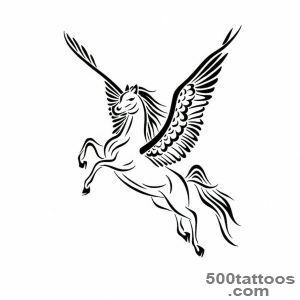 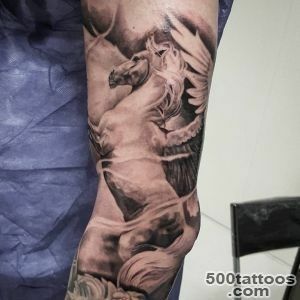 The meaning of tattoos and mystique, ease and artistry.Pegasus - the legendary horse, a son of the god Poseidon and the Gorgon Medusa soothsayer. 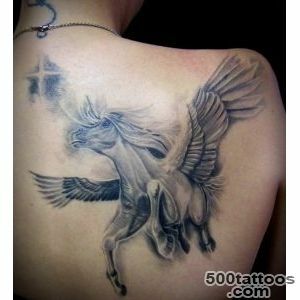 He came out of her head and was therefore endowed with marvelous gift of prophecy and foresight. 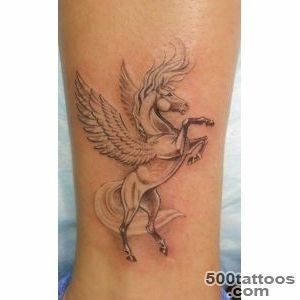 In Greek mythology, he was portrayed as a white winged horse with a golden bridle. 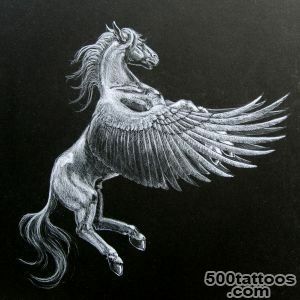 It was believed that Pegasus - the minister muses and poets, because he got izthe ground source of inspiration - Ippokrenu. 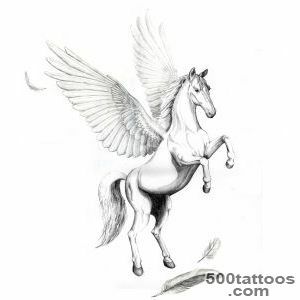 For the ancient thinkers, he was a symbol of purity, inspiration and thoughts of flight. 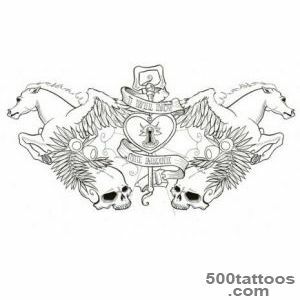 Most ideal for tattooing - back, abdomen or upper arm. 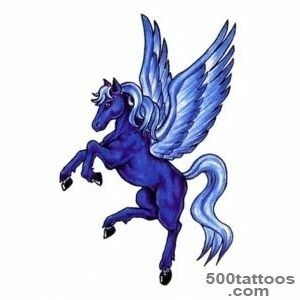 Although a small figure would be relevant to the ankle or wrist.The most important thing - the tattoo Pegasus must necessarily be white ! 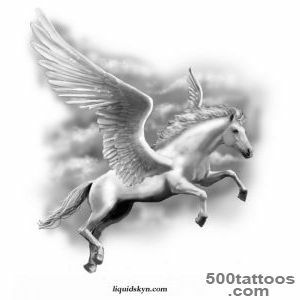 After all, so it is described in the legends. 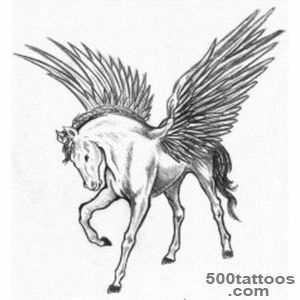 Sometimes the sketch depict Pegasus with a horn on his forehead, combining in one picture two magic horses - fairy unicorn and Pegasus. 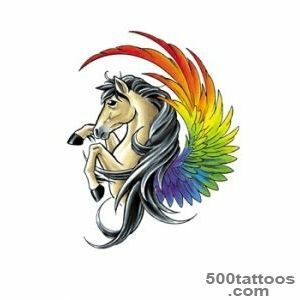 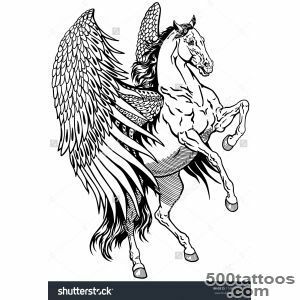 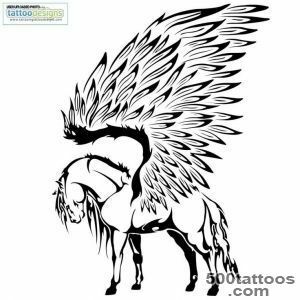 Tattoo with the image of the winged horse Pegasus and equally popular among men and women.Young girls often choose a tattoo with the image of a small foal with wings, young Pegasus. 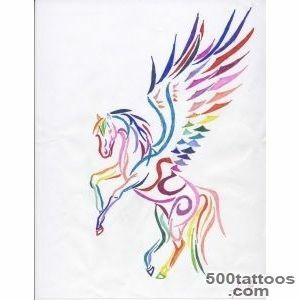 He is traditionally depicted with blue or white, but with colored wings (eg, pink ).